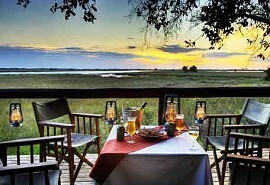 Situated in the beautiful Nxai Pan National Park, adjoining the Makgadikgadi National Park is Nxai Pan Camp. Nxai pan is renowned for its huge springbok population and as soon as the rains start, gemsbok, elephant and zebra migrate to the region offering spectacular game viewing and prolific birdlife. Beautiful scenery unique to the Nxai Pan area. The area is renowned for huge springbok population. Massive herds of giraffe can be seen up to 30 in a group. Endangered wild dog can be seen in the area as well as the elusive leopard. 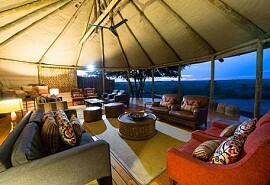 Mashatu Tented Camp offers guests a traditional and rustic bush experience in the Tuli Block in Botswana. This tented camp is the leisure choice for the guest who seeks the ultimate one-on-one bush experience and who prefers a more intimate environment. Mashatu Main Camp is a luxury safari lodge that overlooks an active waterhole. 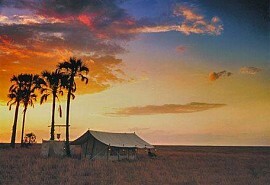 Mashatu Main Camp is an oasis among the undulating and seemingly endless plains of the wild. 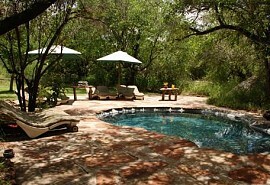 All the suites are air conditioned and the lodge offers access to an untouched wilderness area. 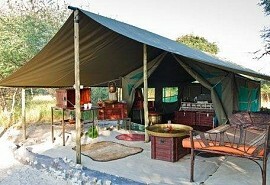 Tau Pan Camp is an excellent new safari option in the Deception Valley area of the Central Kalahari. Guests visiting in the Green Season of December to March each year can expect to see large herds of animals. 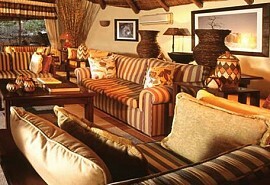 Kalahari Plains Camp is one of the few private safari camps in the Deception Valley area of the Central Kalahari. 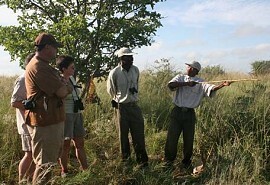 Guests visiting this camp stand the chance of seeing the huge black-maned Kalahari lions. This 12-night luxury safari offers guests the opportunity to explore the highlights of Botswana & Victoria Falls and includes the interesting Makgadikgadi Pans, the Okavango Delta, Moremi Game Reserve, Chobe National Park as well as the magnificent Victoria Falls.